We loved our felt octopus so much that we had to follow it up with some more nautical cuties! 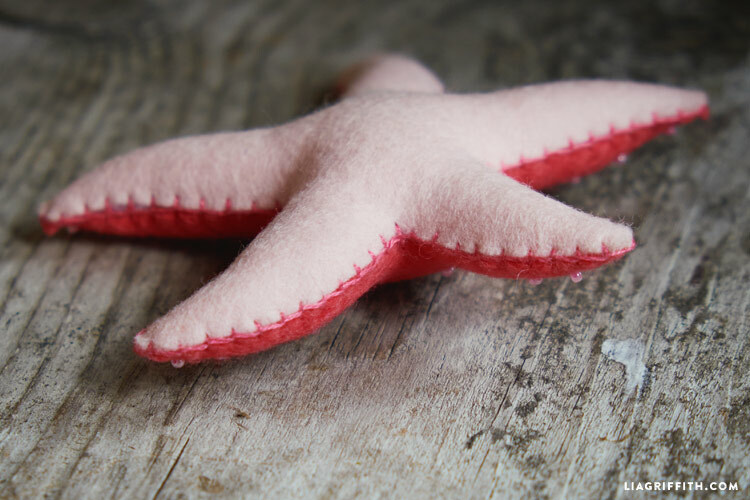 Today we are sharing the template and tutorial to make some adorable felt starfish. 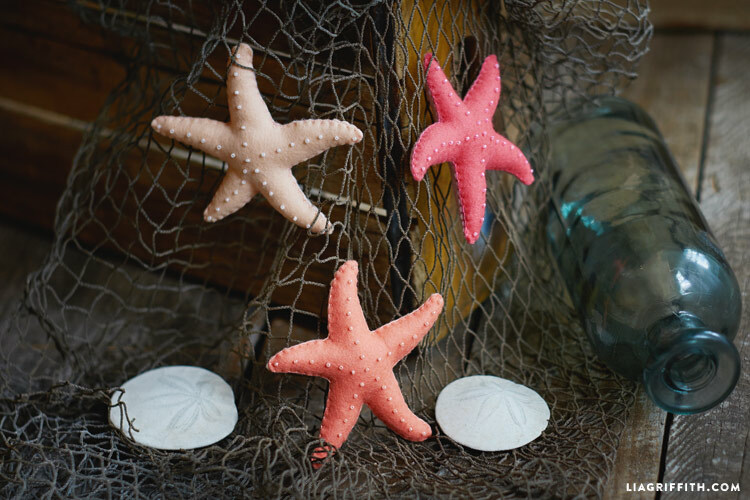 Our felt starfish can be used in so many ways. Of course they make for a great kids craft and toy, but I can also see these being wonderful for beach house decor or incorporated into a nautical centerpiece for a summer dinner party. The best part is that these are so easy to whip up! This felt starfish project only requires four materials: felt, embroidery floss, poly-fill, and small beads. 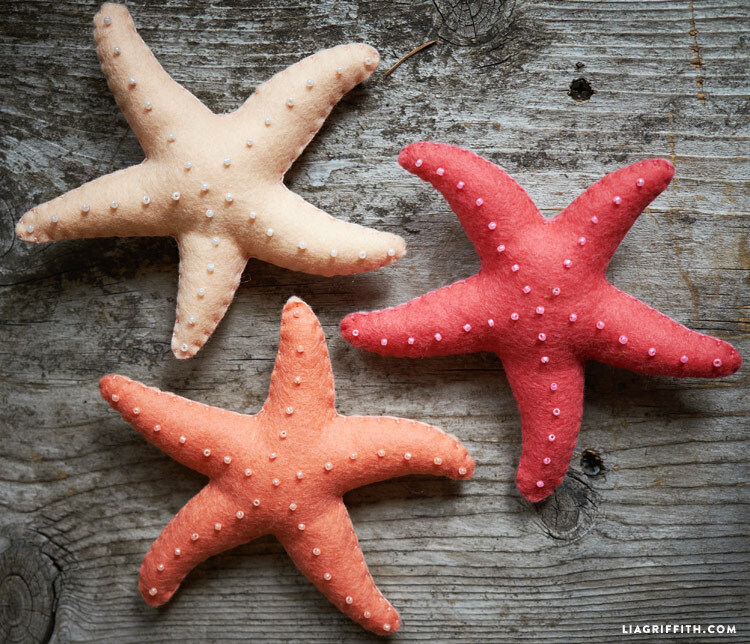 We used wool felt with a peachy pink color scheme for our starfish, but they would also look adorable in ocean blue colors. 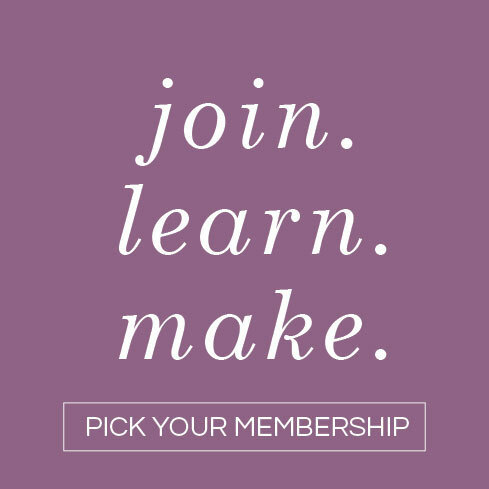 Pick out your felt and then find some matching colors of embroidery floss at your local fabric store. Next, find seed beads to add detailing to your starfish. After gathering your materials, print the PDF template below and cut the starfish shape as a guide for cutting out your felt pieces. Once you have your felt ready, add the beading. Isolate one thread of embroidery floss to sew the beads to your felt. The beads are very tiny so be sure to use a thin needle! 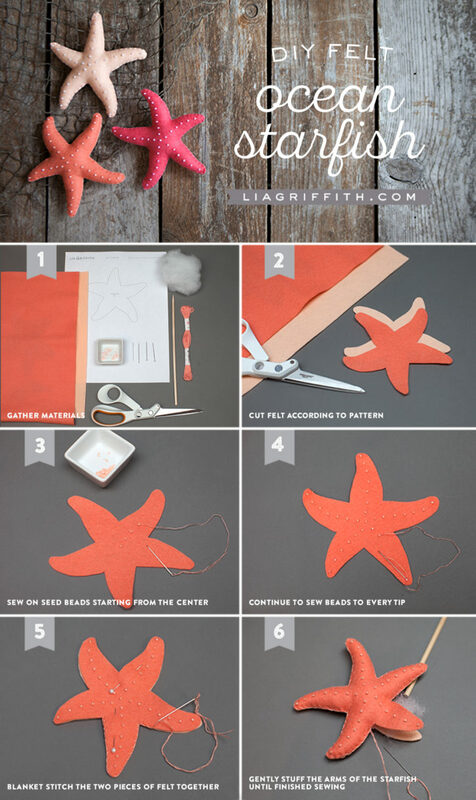 You can follow our step-by-step photo tutorial below to give you a visual guide for crafting your felt starfish. 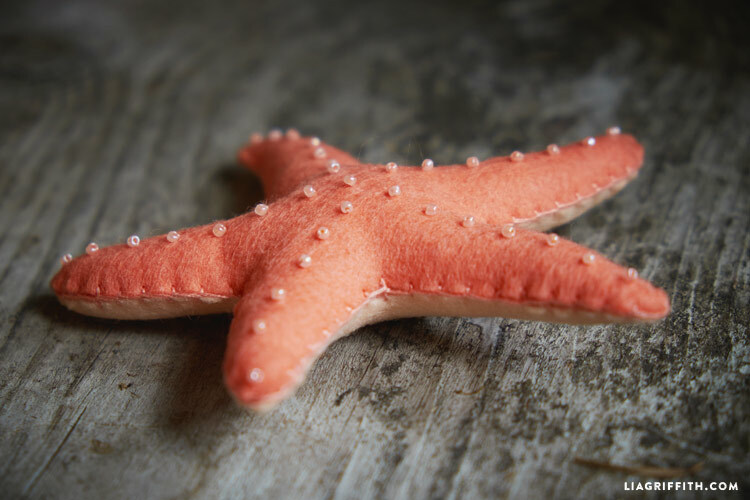 Now that the beads are attached to your felt, you can begin to sew the starfish closed with a basic blanket stitch. Stuff the arms with poly-fill as you sew them shut so that you can stuff the starfish evenly. A handy trick is to use a wooden skewer to help you add the poly-fill to each arm. 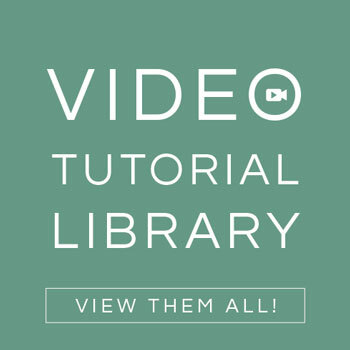 May I have an SVG file for this one please? 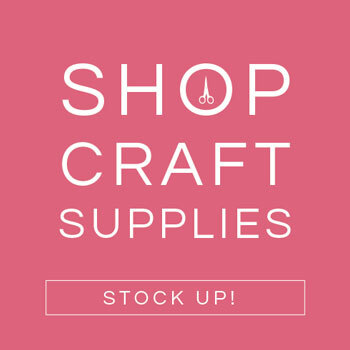 We just uploaded an SVG file for this one too!